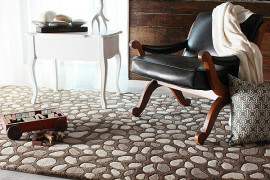 Rugs add dimension and color to a home. 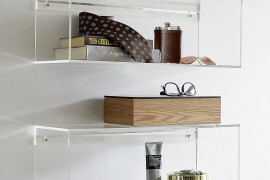 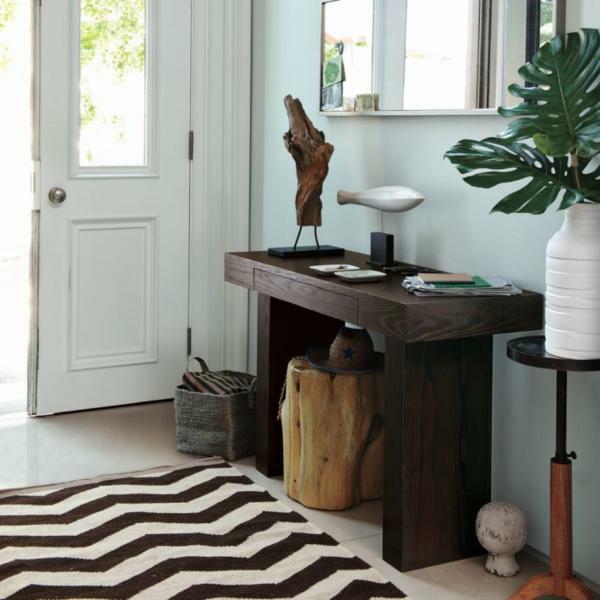 Often the cure for a hard floor, they have the power to unite a variety of decor elements in a room. 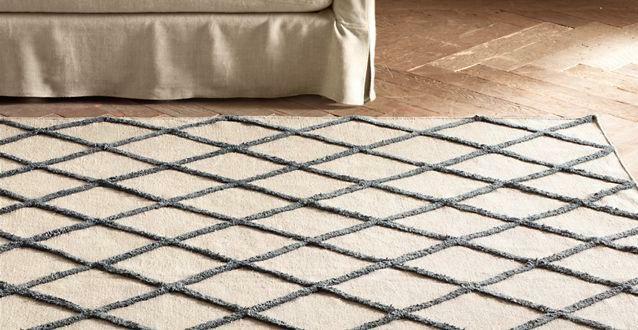 Rugs also bring texture and pattern to your interior. 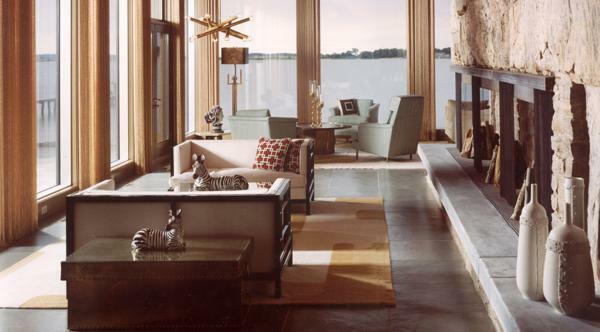 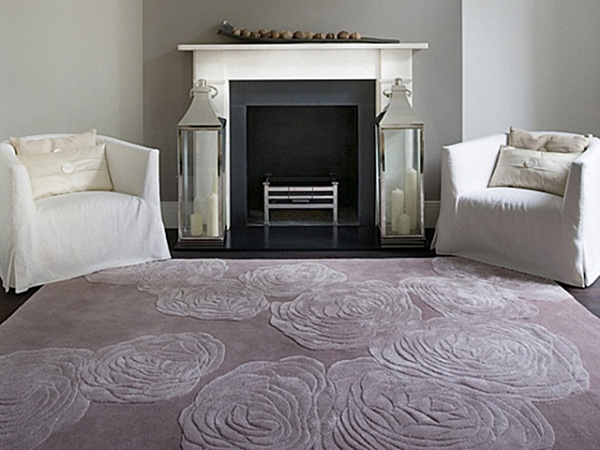 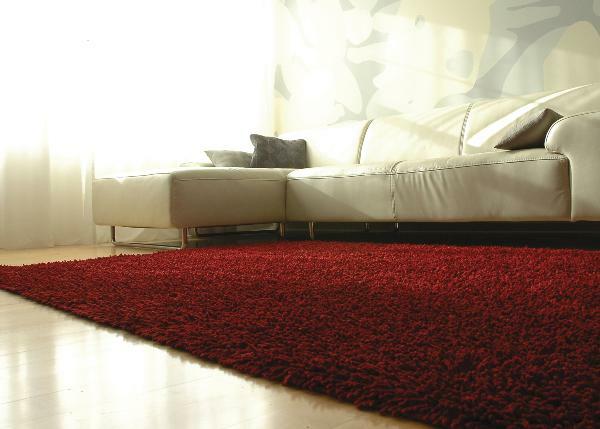 When choosing a rug, consider the needs of your space. 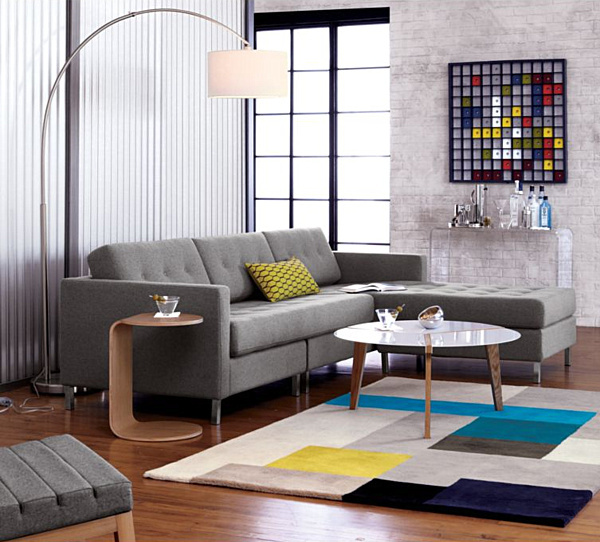 Are there specific colors and sizes you are after? 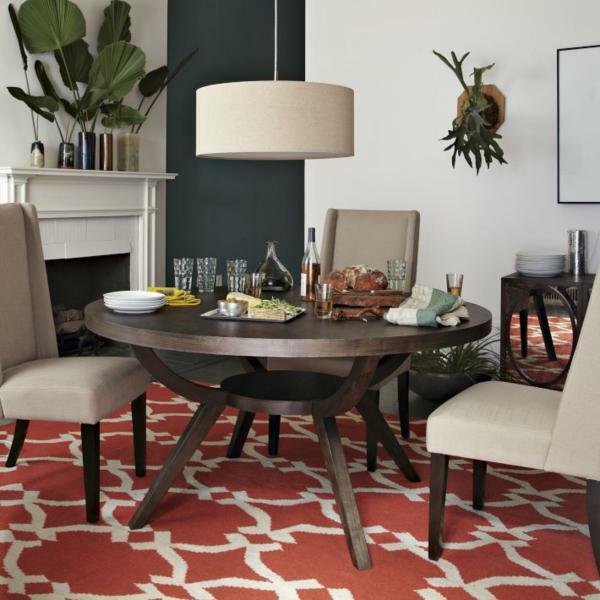 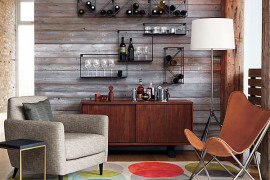 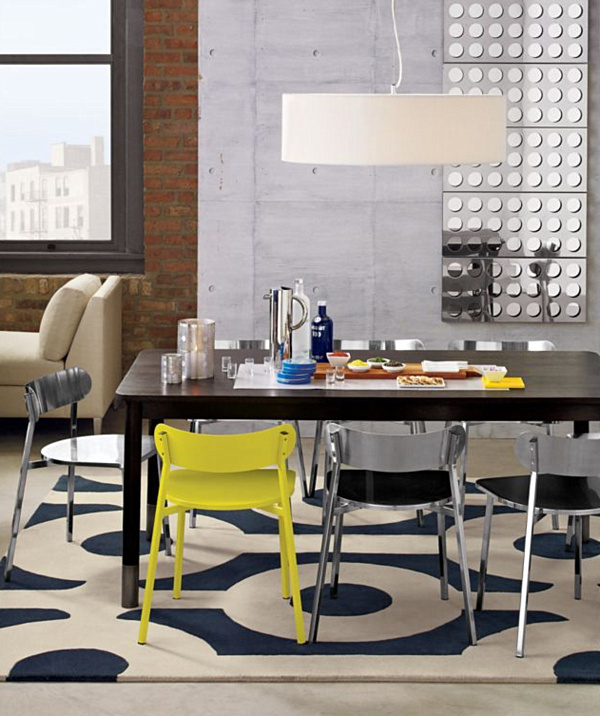 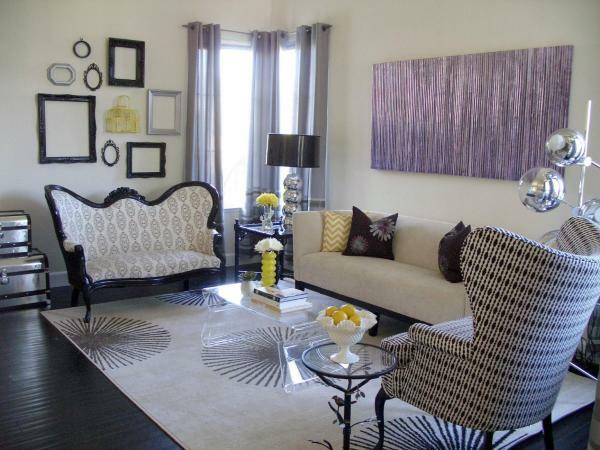 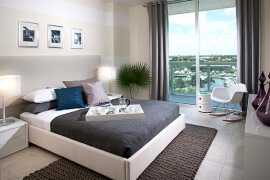 Will the rug tie together certain hues and design themes, or will it be the one splash of color that brightens the area? 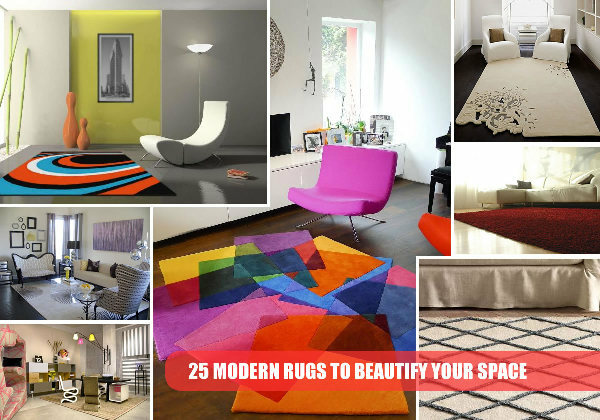 Most importantly, enjoy your search for the perfect rug. 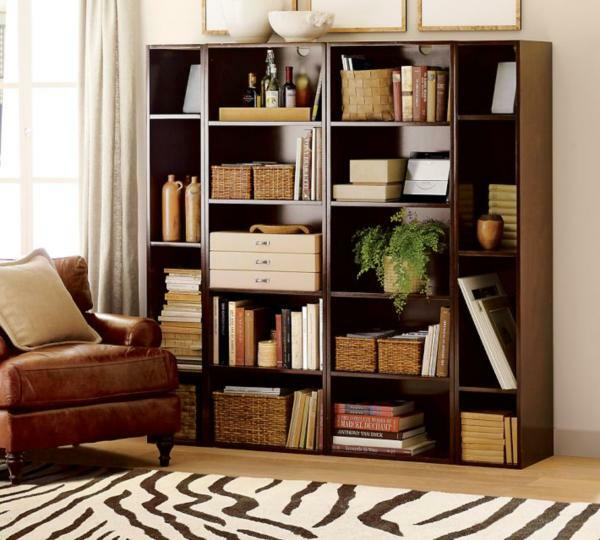 There are many amazing options to fit your needs. 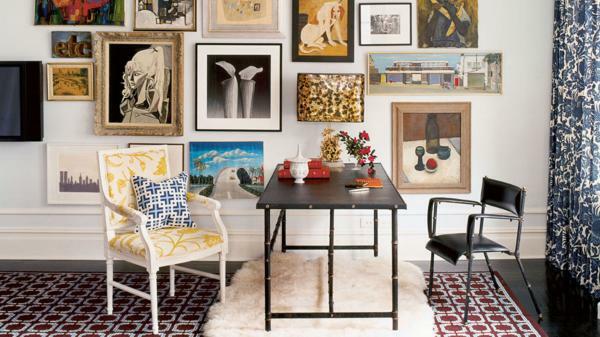 We’ve compiled our favorites, beginning with the pieces that may as well be works of art! 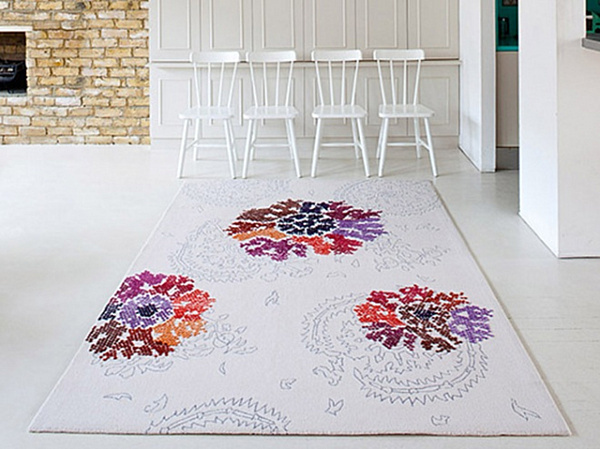 Sometimes a vibrant rug is the perfect solution to decorating a neutral space. 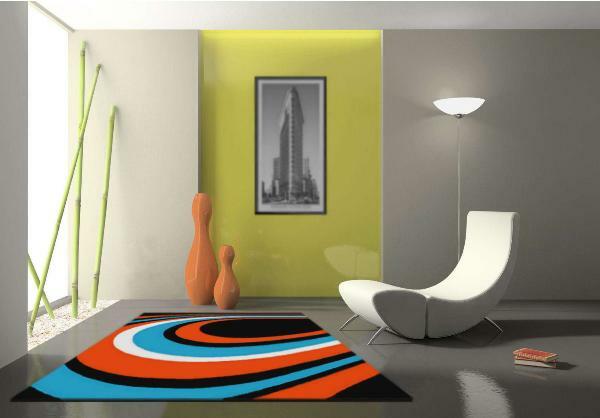 What better way to bring color to a white-walled room than with a rug that serves as an art piece? 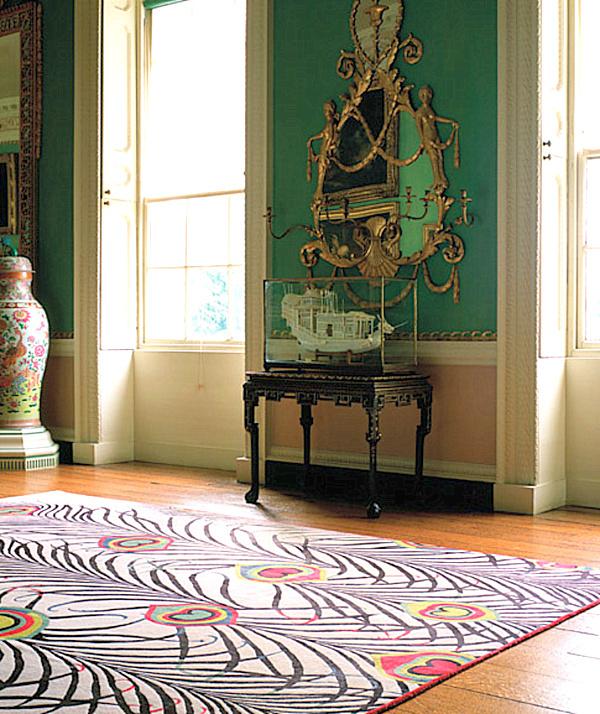 When choosing a rug in vivid shades, it may be wise to tone down artwork on the walls so the floor can take center stage. 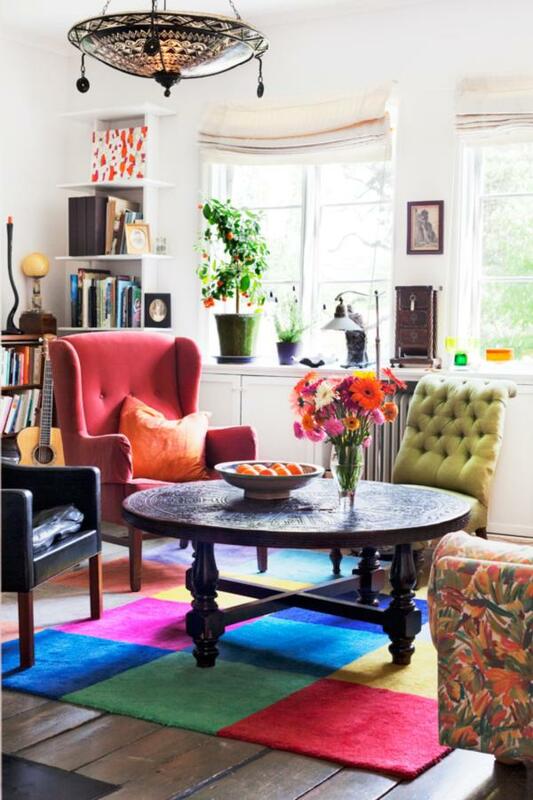 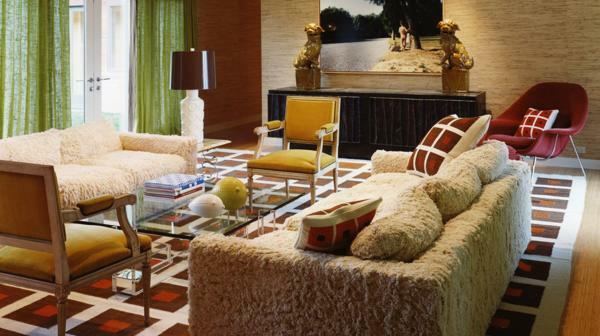 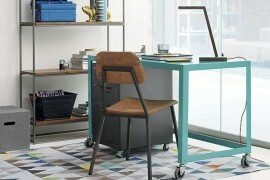 Then again, if color is your decor tool of choice, perhaps a rainbow of a room is in order! 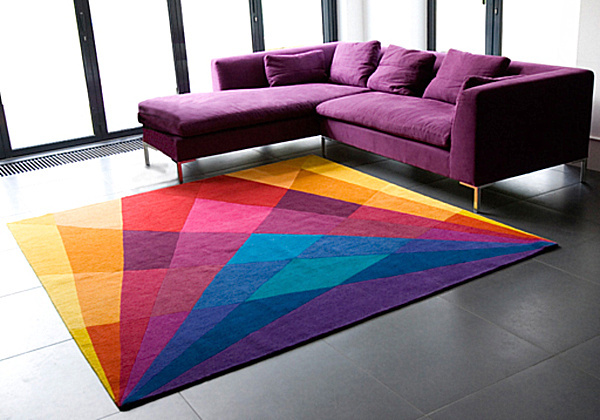 Rainbow, also from Sonya Winner, features long lines that overlap to create diamonds and triangles. 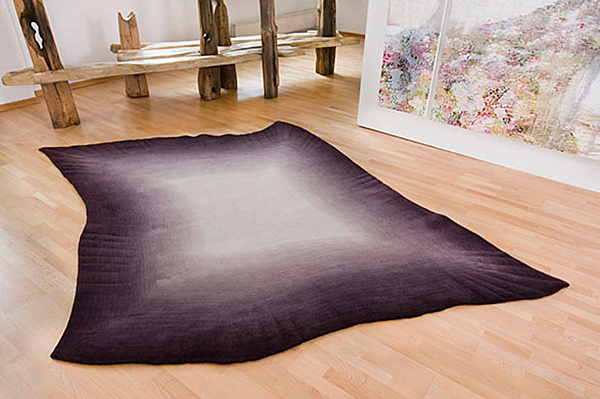 While purple may not be a common color for a sofa, somehow it all makes sense next to the rug! 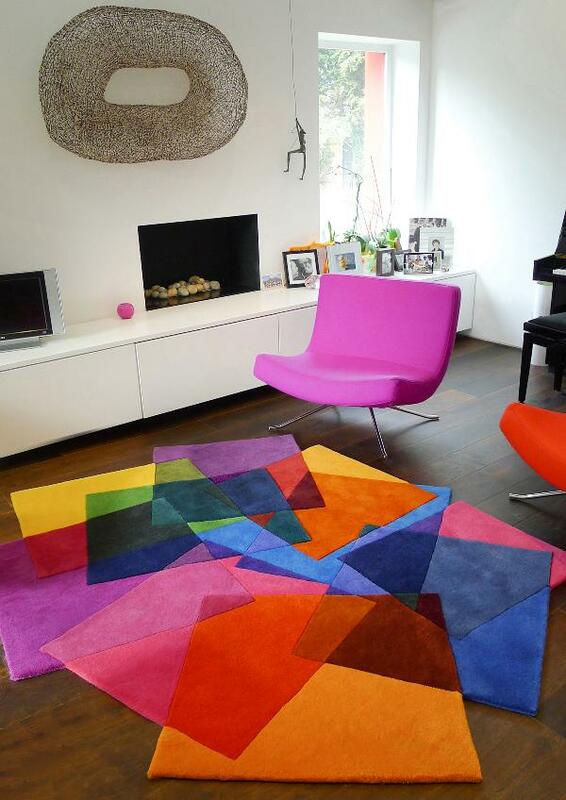 A floor filled with large geometric forms can also unify a space, as shown by the rug below, which matches the room’s drapes. 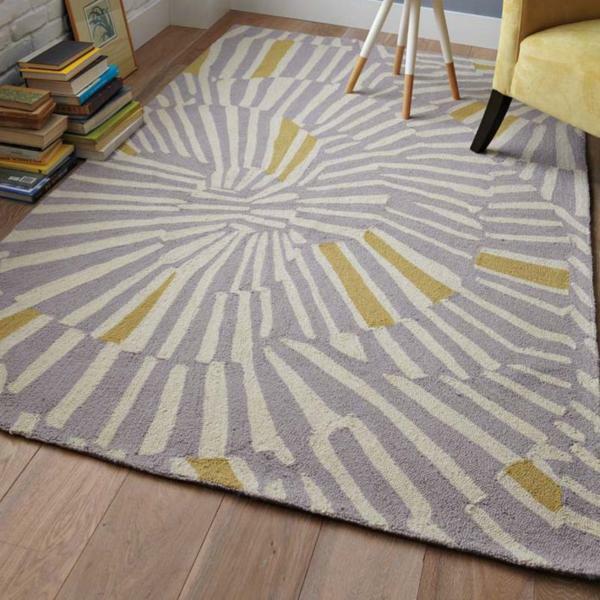 For another piece with sizable geometry, check out Jonathan Adler’s Mother and Child Rug.